Back in March I got a second round of balayage to lighten up the ends of my hair from a previously dyed light brown to a cool, ashy blonde. While I was happy with the color, my hair was obviously not as healthy as it used to be in its natural state. Around the same time, Sephora was heavily promoting a hair care brand they were just starting to carry. I was intrigued because the line only offered one product. That's how I found myself ordering a bottle of Olaplex Hair Perfector No. 3. Olaplex is a three-step line but No. 1 and No. 2 are only available at professional salons. No. 3 is their at-home product that any hair type can supposedly benefit from. A-listers apparently swear by Olaplex when they color their hair and this unassuming little bottle has an impressive 4.5 star rating on Sephora with 940 reviews. The small 100 ml bottle costs $28 and on my medium length hair, it lasts me about six applications. I figured it was worth a try because my hair needed as much strengthening and repairing it could get. 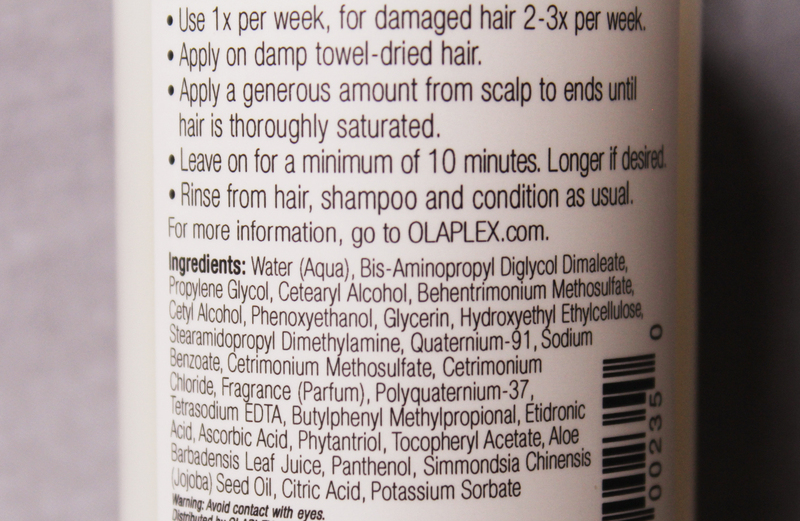 The patented ingredient in all of Olaplex's products is Bis-Aminopropyl Diglycol Dimaleate. Supposedly this ingredient helps repair the bonds within your hair and nothing else on the market seems to be able to do what this does. It's important to note that Olaplex isn't a conditioner. You actually use it before shampooing, applying it to damp hair and leaving it on for at least 10 minutes. I usually massage a generous glob of Olaplex No. 3 into my hair, working it through individual sections carefully before knotting my hair in a high bun and letting it work its magic for as long as I can wait. That usually means watching a few episodes of something on Netflix before I rinse out the treatment. 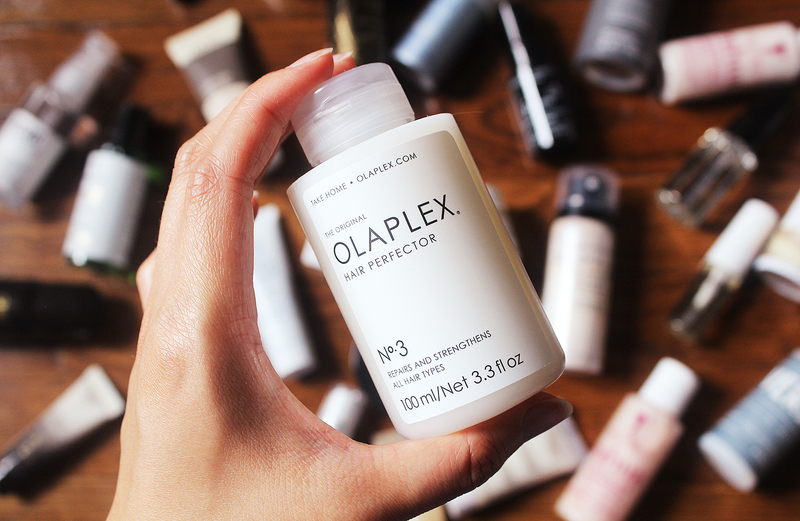 Unlike heavy, greasy conditioners, Olaplex is relatively light and not difficult to wash out at all. It also has a mild perfumed scent but nothing overpowering. Like many of Olaplex loyalists, I definitely see a difference in my hair after I use this. In fact, I'm already on my second bottle (and you know how rare it is for me to repurchase products). While it may seem pricey for such a small bottle, it definitely beats going to the salon for a hair treatment there. If you have damaged, color-treated hair, I highly recommend Olaplex No. 3. There are a number of reviewers who said the treatment didn't do anything for them and one of my friends said it stopped making a noticeable difference after the first application. But the overwhelming majority of people seem to get on really well with this product so I think it's worth a try!